Knowing the highest paying trucking jobs can help you earn the most money in this career. Truck drivers, otherwise regarded as the trucker, driver, or teamster, are individuals who earn a living as truck drivers. These drivers offer vital services to the industrialized societies by means of transportation of the finished goods or the raw materials by land usually from the manufacturing plants, retail, and then to the distribution centers. Liquid hauling – this requires skills for driving and hauling especially that you will be handling chemicals, gas, and other hazardous or dangerous materials. Since you will be putting yourself in more danger then the pay rate is higher or expensive. 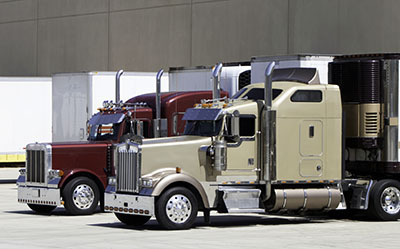 Oversized loads – it offers higher pay rate because you will be driving double wide trucks as well as overload trucks. In order to do this driving, there is a special license and training required. It will be expected that you will learn to drive certain trucks needed for the job. Ice road trucking – you will be driving in dangerous road conditions in relation to the climate which will allow you to earn high like from twenty thousand dollars up to seventy-five thousand dollars. This amount of money can be obtained in few short months. Specialty car haulers – the duty for this kind of job that will pay you high rates is to transport cars which are damaged or needed to be sent or delivered to the clients. Delivering specialty or luxurious cars will even let you earn more. Dump truck driving – to transport and work in dump trucking industry benefits you to earn high. These kinds of job can be found in different locations either international-based or small local companies. Mining industry – working in the mining industry like doing deliveries as well as pick-ups is profitable. You can have the option to work for the small companies or to work as the contractor of the mining industry field. Team driving – this kind of driving needs collaboration with other drivers. You will be expected to drive long distances. The disadvantages of the type of job is that you will be burned out in the field while driving, will have limited time of driving, and will have limited areas to drive according to the federal as well as the state regulations. Interstate drivers – the driver will be driving longer distances. You may be driving with heavy load deliveries and even on tight schedules. In order to drive more, you must be able to maintain the tight schedule for which in return you can also earn higher pay. Recruiter – this will let you earn high rates aside from being the driver by means of recruiting other drivers. You will even earn more if you are going to bring in the great drivers. Truck Driving Instructor – in this area, you will work in the trucking schools wherein you will be staying in a single location and will be working with students. Other advantages include not driving for long hours or not driving in dangerous roads.